The goal of People2Vec is to become a free, easy-to-use and open-source library designed to automatically extract semantic topics from people digital content such as social connectors (Twitter, Facebook, LinkedIn, Slack...), local connectors (emails, documents...) and online connectors (Web Page, RSS, blogs...). Join us, we need all the help we can get! 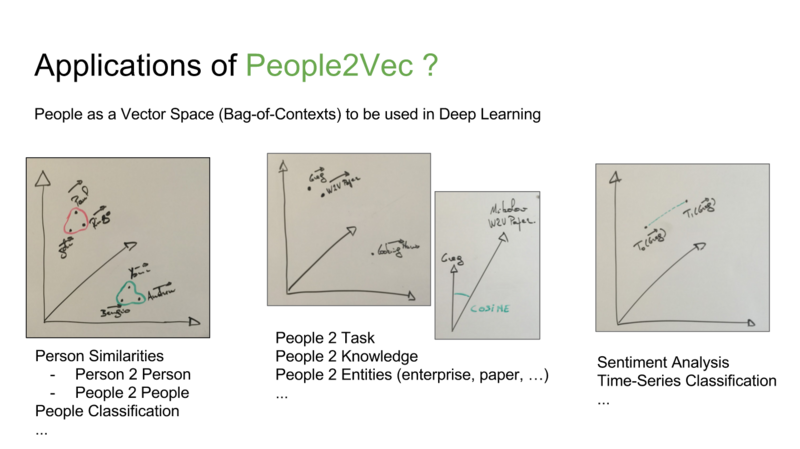 People2Vec is a natural extension of Word2Vec. 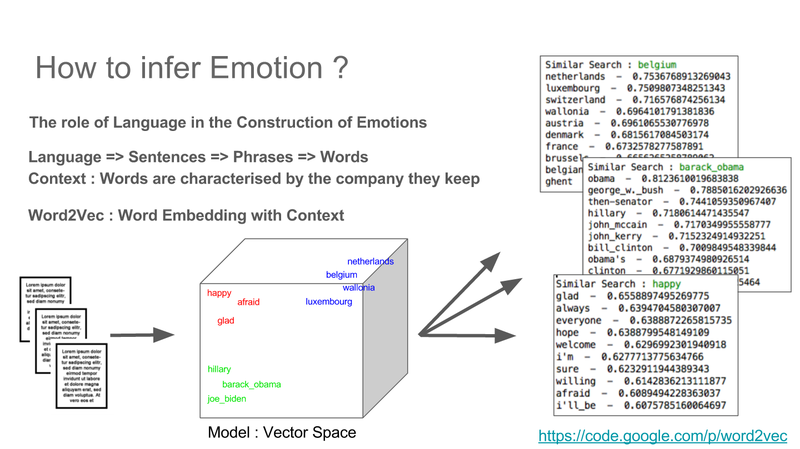 Word2vec is an algorithm for constructing vector representations of words, also known as word embeddings. The vector for each word is a semantic description of how that word is used in a context, so two words that are used similarly will get similar vector representations. 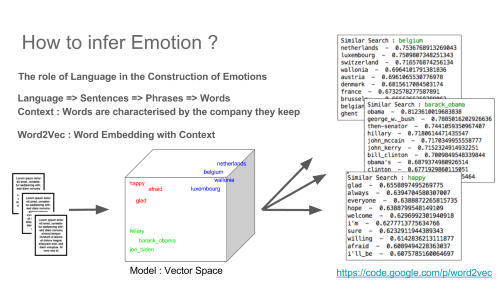 Once you map words into vector space, you can then use vector to find words that have similar semantics. 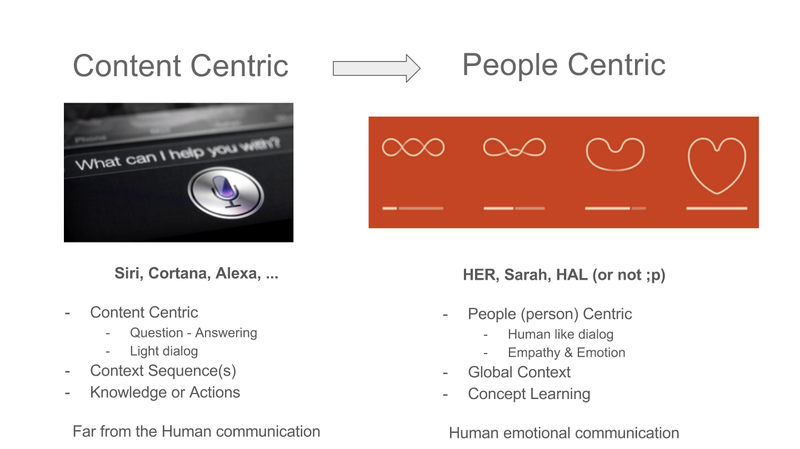 This approach is perfectly designed to be used in Deep Learning. 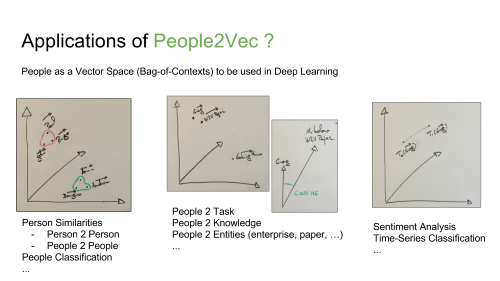 We started to work on People2Vec because we share the vision that AI is about people. Each breakthrough in AI can answer what were thought as impossible problems to solve, all for the benefit of mankind. We believe this can be achieved ethically when approached as a community. Audrey Duet, Louis Monier, Greg Senay, Fabien Lavocat & Greg Renard.